Mary is a Registered Representative with H.D. Vest Investment ServicesSM and joined SWC Wealth Management in 2016. She specializes in retirement planning services for public school employees. 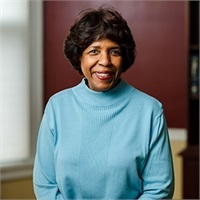 Mary James has a bachelor's degree from Spelman College in Atlanta, as well as a Master's degree from the University of Pennsylvania in Philadelphia. She has 35 years of experience in banking and finance with Mellon Bank and Americhoice Federal Credit Union. Mary also has 18 years of government experience, including 12 years as the Regional Administrator for The Public School Employees Retirement System (PSERS). Mary has won countless awards for her community service and volunteerism and continues to work with many local clubs and organizations. She is also an adjunct professor at Central Penn College. Mary has a passion for gourmet cooking, entertaining, gardening and spending time with her husband, children and six grandchildren.